Text: Based on the leaves we have seen, this Book of Hours accords with the Use of Rome. 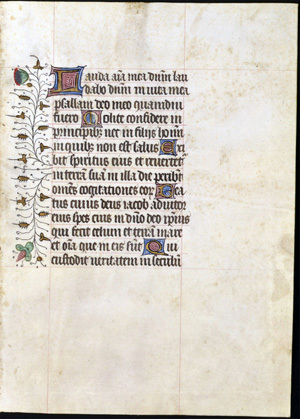 This leaf contains text from the Office for the Dead at Vespers, consisting mostly of Psalms 145. A scan of the verso is not currently available.